Your products at the Amazon marketplace? No question! The Up2Shop® Amazon interface makes it possible to have automated data exchange with the Amazon Marketplace Web Service API (Amazon MWS). Your entire range of goods will be published at Amazon automatically by means of our Amazon Export interface. As required, the Amazon Export interface also updates the data in various forms: Only new products, items with modified texts / prices or only the warehouse stockpiles. All templates prepared by Amazon can be used; thus, for example, variants such as colours/sizes. Amazon’s sales can be converted automatically into .CSV or .XML files through the integrated Amazon Import interface and thus imported into each merchandise management system such as SAP Business One (SAP B1), microtech ERP-Complete or Mesonic. Workflow which is fun ! The Up2Shop Amazon Interface manage an account based system, to enable the work with different Amazon merchant accounts. The configuration allows to use all relevant Amazon or ERP-System parameters for each account separately. Datafeed upload to Amazon incl. 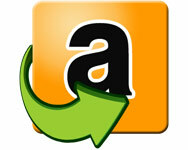 Download from the Amazon Seller Central incl. Query to list the pending jobs in the Amazon Seller Central incl. Software for the automated exchange of data with the Amazon Marketplace Web Service API (Amazon MWS). Downloads from Amazon Seller Central incl. up2shop amazon uses parts of the Amazon Marketplace Web Service CSharp Library. SAP, mySAP and other named SAP products are trademarks of the SAP AG. All trademarks, copyrights and other signs are acknowledged.